What Is The Best Way To Permanently Change Negative Patterns Of Thought? I receive a number of questions from the public. I don’t always have the time and energy to answer all of them. As a part of this blog, I will begin including some of those questions and their answers that everyone can benefit. While I may be overshadowed while writing the answer to each question I do not seek such overshadowing consciously as these answers come from my own life experience that has taught me the truth of what I write. When I channel I am very aware of the spirit or spirits involved as I see and hear them clearly and distinctly. The first mistake we make is to think that we are our thoughts. And it is only when we take the time to notice how our thoughts often come from out of nowhere that we begin to see that we are not our thoughts. It is in stepping back consciously from all of our thinking, over time, and just watching it that we become most acutely aware of how not only do our thoughts seem to have a life of their own but also that they often change rapidly rendering us unable to be consistent or have follow through to bring things to completion. It is a common problem. In that sense, all of us suffer from ADD or Attention Deficit Disorder from time to time. And the worst part is that thoughts lead to other and similar thoughts until a living thought form of them comes to nest in our mental midst. And the fact that we take exception to them is a clear indication that we do not, from the depths of our heart, feel comfortable with them when especially they are partially or totally incompatible with our closely held sense of morality. It is not easy to change negative patterns of thought unless we begin to consciously detach from them the moment they appear before us. As healing is a transformative process made possible by converting negative energy into positive energy or unhealthy tissue into healthy tissue, so must we, in order to be healed mentally, transform our negative thought energy to positive thought energy by taking the conscious initiative to watch our thoughts and remain detached from them. Without fighting them or giving them attention the mind heals resultantly. You may oppose negative patterns of thought by direct denial of them when they appear or you can simply apply a positive thought in their place. But this still does not get to the root of the problem. The mind is the culprit and to try to control it is not nearly as affective as silencing it as just mentioned. This is done through meditation. I say, without apology or equivocation that I am not my mind! I have observed it so extensively that I know empirically that this is so. It is the nature of the mind, which only appears to exist because of our thoughts—no thoughts, no mind—to lead and mislead. You can blame it on to some ancient cause but I have yet to meet anyone who because they believed in such a thing that they got free from the unpredictability and inconsistency of their mind. It is a universal problem. Because of the reality of the paradox of the mind it is not even dependable to lead us out of its confusion and often its entrapment. At best, when it is truly aiding us to find the truth of things it can point the way but it cannot take us outside of its circumference of experience. To do that one must transcend or go beyond the mind by way of serious and consistent meditation. Then and only then can you look from afar and know that you are neither your mind nor its thoughts, and that neither are you your body. In the transcendent state of being all of this begins to become magnificently clear. The operative word thrown around now-a-days is detachment. Yes, I agree. Seek to detach by just watching your mind throughout the day and most especially when you are in meditation. As you distance yourself from subjective involvement you will find your mind becoming quieter and quieter and eventually silent until you summon it. A number of years ago I visited a specialist in the medical field to have her tap into my brain wave frequencies. I did not tell her what I was searching for except to say that I wanted her to take look at them and tell me what was going on. After attaching me to an electroencephalograph by way of many electrodes attached to my head, I sat with her and watched the activity of my brain. I couldn’t make heads or tails of it. After 20 minutes of her silence and watching I asked what was going on. She said that she had been watching me for an extended period of time because I showed a very rare manifestation of brain wave frequencies. She continued by saying that unlike most people the vibrations of my brain stayed almost continuously in alpha, the well-known level of brain wave frequencies associated with meditation. I was elated. I had been taught and did likewise teach that through consistent meditation, over enough time, one’s brain waves would stay nearly all of the time in alpha or meditation. I was living proof of this fact and I was exceedingly pleased as you can imagine. Meditation has a deep affect not only on the brain but also upon character. Why? From my perspective—though not a scientific explanation—meditation, when done consistently over enough time, puts us in touch with our spirit, with our eternal Self. And the beginning of becoming aware of that Self lies in detachment from the physical body and our earthly involved mind. By just seeking to observe our mind objectively an awareness comes about that we cannot get otherwise and then begins the awakening. I know some reading this answer will begin to question its validity. I understand the need, especially with left brain types, to question. And you should do that. But please take into consideration that as long as you work with the mind it will lead and mislead. Is that not your life experience? At this point, do not be concerned about the cause, there are many as to why this is so. Most important is to make effort along the lines I have clearly described. Meditation is the key to liberation from your earthly mind and its considerable tendency to not be consistently reliable and dependable. Try what I am suggesting—and you have to do it conscientiously—and watch the outcome and see if you are not more and more liberated from being influenced and involved with negative thought patterns. They are a part of everyone’s life and are here to stay—if you haven’t noticed—the way to rise above them is to watch them but do not get involved with them. You are not your earthly mind or its thoughts or the feelings derived from your thoughts. When you finally realize from meditational, life experience that you are the super-conscious, eternal mind you will have no need to contend with the earthly mind and it will come to be powerless in your new awareness and resolve to be free. I am not sure what this post did for you but you are welcome. It would be meaningful to our readers what it was that you found to be thankful about when reading this post if you care to write further on the topic. 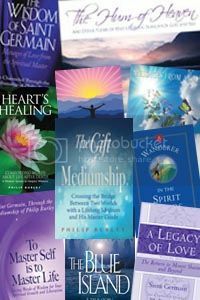 Hi Philip, I find your comments to be so true for myself about meditation, the mind and negative thoughts. I have become a student of meditation recently, studing many different types. The consistent message is always to watch your thoughts and do not engage them. I found your programs on meditation very valuable to me. I noticed a decrease in the frequency and moments of my doubtful and negative thinking and found it successful to just watching the thoughts. I also love the fact that my thoughts are not me! You are living proof of the validity of my post on today’s blog. Only when we put into practice the dynamics of detachment to our thoughts and become the observer do we come to know the truth of the importance of this practice. The Self we are seeking has become submerged beneath the multiple layers of paradoxical and often conflicting thoughts. There is much more that one could say on all of this and perhaps there will be cause for me to expand on the subject. I am no ultimate authority on these matters but I do know what my life experience has taught me and I stated so in this blog when it comes to the truth of overcoming negative thought patterns. Thanks Philip; this reading is wonderful. Light, Love, and Joyous Blessings. I appreciate that you find this post for the week to be wonderful. It is something I have wanted to share for some time as I know the truth of it and just how powerful and liberating it is when put into practice. Thank you for faithfully being a part of this adventure in self-mastery. Thank you so much for this beautiful and enlightening article.. I have a hard time managing my mind.. you have answered it so well. Wise and helpful words, as always. I so much want what you say meditation results in … and yet, I don't make much time to do what I "think" it is, and even when I am trying to meditate, I experience doubt thoughts, like "am I really meditating or just trying to or pretending to, and therefore as a result of my superficial experience, so to speak, I won't get the result I want." I want to WANT to meditate so much that I just do it each day and feel confident that I am progressing toward the kind of awareness and brain waves you have. Can you help??? I have heard from many these same frustrations. You have proven the point of this week’s post: The mind leads and misleads. It serves us when it serves us well and it does not serve us when it does not serve correctly. It goes back to the fact that the mind can point the way but it cannot take us there .In transcending it, through meditation, we find our way and our true self. Who or what is creating the confusion and complexity surrounding your occupation with and efforts at meditation? It is your mind. But until you stop to look at it, as I mentioned in this post, you will not grasp that it is not totally reliable. It is by looking at it that we can realize that we are not it; we are the one observing it. What is that one? It is a state of awareness gotten to only by stepping away from the earthly mind. Until we do, we do not realize that that objective, all observing Self is there. It is the witness of the whole of your life, it is expanded awareness. It can be trusted. What are we talking about? We are talking about our divine Self. It is always there, always has been but has been covered up and forgotten because of such strong identity with the material world. Think about it. There are those of us who can see the other world and we have no compunction to tell others so. The masses, meaning most of humanity, do not have a clue and if they do believe in a life beyond this one, it is a vague sort of idea and their relation to it is vague or tentative. And yet, we are eternal spirits living in and through this earthly body–a body that 100% of us will leave at some point. Beyond the body is the Real Us! That being is limitless, all wise, and more than capable of guiding us, on earth and in the spirit world to make all the right turns, to think all the right thoughts and to make the right decisions. That is who we should be listening to and not this temporary earthly mind. I am sure there are other points I have not touched upon that may also be helpful but this is, I think, enough for now. We have all been told of places that we just must visit on Mother Earth before we die and that until we go there, to these places, we will never know why we should go there. Likewise on meditation. Until you go there and continue diligently you cannot know the feel or rewards of it. Much love and encouragement to trying and seeing…. Thank you, as always, Philip! As you are so well aware, the only true place of Peace is in the "Eternal Now." And the only way there is through Meditation. Thank you for reminding us of that. In this world we are taught to beleive that all of reality is about what we are thinking, but actually that is not true. Meditaton helps us to access the "Ground of our Being" where the mind is still, the heart is open, and where abides "a Peace that passeth all understanding." This is where "Reality" really lies. Thank you for being a teacher and example of this. Much Gratitude! If I could have gotten the awareness you speak of by way of any one of my teachers it would have easy compared to finding the answer mostly by life experience. But then that route is the best route because when we know something by experience there is no argument or doubt and one can go forward confidently and joyfully. I don’t know what kind of teacher I am; I only know that it hurts me to see others suffer out of ignorance and if I can lend even a little input to make a difference I am willing to do so. In the end you and I both know that this is God talking to God! This is a helpful blog entry. Recently, I have been making a conscious effort to focus on positive thoughts. I like this line of yours, "it is only when we take the time to notice how our thoughts often come from out of nowhere that we begin to see that we are not our thoughts." If a person is plagued by worry, doubt, and fear, I suppose it is possible that some of this is coming from the spirit world. How nice it is then, to anchor oneself to God Within through meditation, and thereby cut off from the swarms of negative energy and untruths that might influence us. This is one more reason why meditation is a healthy practice. Thank you Marcia for you thoughtful commentary, lending another voice to the reality of dealing with thoughts and especially through meditation that we might put all things into right perspective and in turn become masters of our life! What Is The Best Way To Permanently Change Negative Patterns Of Thought?"